Description: 1. 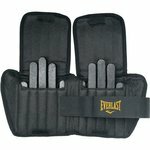 Designed for non professional boxing and other cardiovascular workouts. 2. Made of tough and durable leather grained Everhide. 3. Dense foam padding protects the hand and wrist. 4. Finger sheath and elastic strap holds mitts in place. 5. 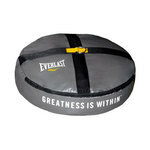 Targeted center promotes straight accurate punches and combinations. .
Dimension: 8.9 X 7 X 4.6 inches. Description: PVC sauna suit is great for aerobic conditioning.Two piece outfit with elastic waist, cuffs, and ankles.Full cut for comfortable, active fit.One year warranty. Dimension: 8.3 X 2.8 X 11 inches. Dimension: 9.8 X 8 X 4 inches.